"Red and white Lake Garda wine is produced all around here"
Bardolino is probably the best known Lake Garda wine but there are lots of other great wines to enjoy from this region. You do not have to travel very far (around the east side in particular) to see loads of grapes growing in the surrounding countryside and hills. 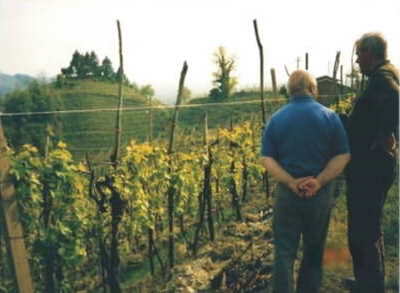 As is the tradition in Italy, local produce is widely supported. So why not try somes of the wines found here to enhance your leisurely and relaxed Italian eating experience. Although we had tried and regularly drank Soave before coming to Lake Garda, we had not discovered Bardolino until our first visit to Lake Garda. The Bardolino is a very fruity and light red wine which we instantly took a liking to and now it is one of our favourites. Bardolino seems particularly enjoyable in the hot summer weather at Lake Garda. Its light and lower alcohol characteristics mean you can indulge in a little more than usual without suffering the consequences!! One trip when we took the car, we stocked up on massive 3 litre bottles of Bardolino, which were only 8 euros (what a bargain)!! 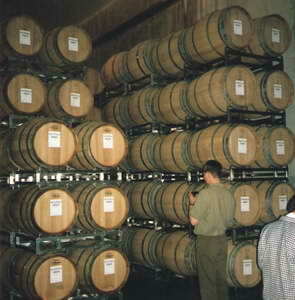 Vineyard tours are popular here and for the wine connoisseur it makes a great day out! You not only get a lovely trip out into the picturesque countryside, you also get to wander round the vineyards and learn about the finer points of growing grapes and making Lake Garda wine. 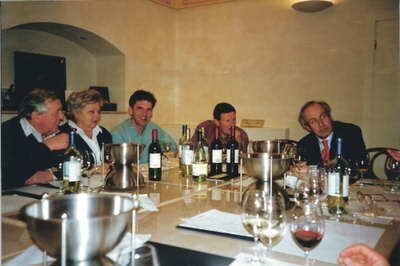 Then, of course, the best bit: the wine tasting session. Here you get to appreciate more about what makes the subtle differences in flavour and hopefully make some good finds. It is a really interesting day and I would recommend it to anyone who appreciates their wine. For those who are really into Lake Garda wine, don't forget the annual wine festivals in Bardolino. There is one in May and another in September or October. Bardolino also has its own wine museum which is well worth a visit as well. 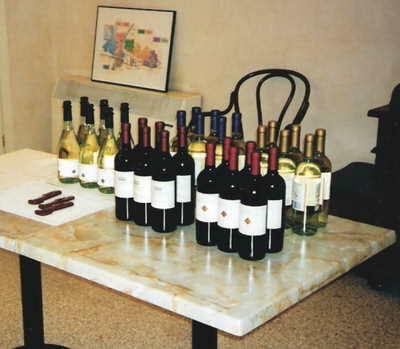 Local wines are usually freely available at most restaurants. We have found the wine to be very reasonably priced when eating out at Lake Garda. You can also often get really cheap jugs of wine with your meal which, if you are not a wine connoisseur and just enjoy a decent wine, can be a great option. Wine is also very cheap to buy from the shops...so if you enjoy a drop and, especially if you are in self catering accommodation, you can really indulge! Once you return home you can continue to enjoy many Italian wines via your local specialist or often find a decent range at your local big supermarket. Which is the best Lake Garda Local Wine? Do you love Lake Garda food? Why not share your story about it and you are highly likely to get your own spot on our website! Your story could well feature on a dedicated web page and may even get in our newsletter too! How good would it feel to show your friends and family your own Lake Garda story on a well respected Lake Garda site! We love pictures as well, so feel free to send us your best shots and there will be no mistaking you then!